When it comes to getting around in style, a Volkswagen vehicle is one of the very best options available today. Volkswagen’s business model has formed a significant reputation in the automotive industry for its fun and sporty cars, and one of the best shining examples is the 2016 Volkswagen Golf GTI. The Golf GTI is one of Volkswagen’s most beloved models, and at Owens Murphy Volkswagen of Little Rock, AR, we’ll be happy to give you a quick tour of what makes it such a great vehicle for any driver! The Golf GTI is a compact vehicle perfectly designed to maximize available space for passenger and cargo. Fleet and responsive, the new Golf GTI has a 210 horsepower turbocharged engine that offers plenty of punch and reliability. Its versatility makes it a capable car for any situation, be it commuting, road trips, or helping a friend move. Its ample cargo room and high safety ratings from the NHTSA and IIHS make it a perfect family car, starter, or good-time driver. If you’d like to learn more about the Golf GTI’s performance, check this out! What is Volkswagen’s TipTronic Transmission? The Golf GTI is more than just a one-hit wonder: it’s been on Car and Driver’s top 10 vehicle list consistently for the last few years! 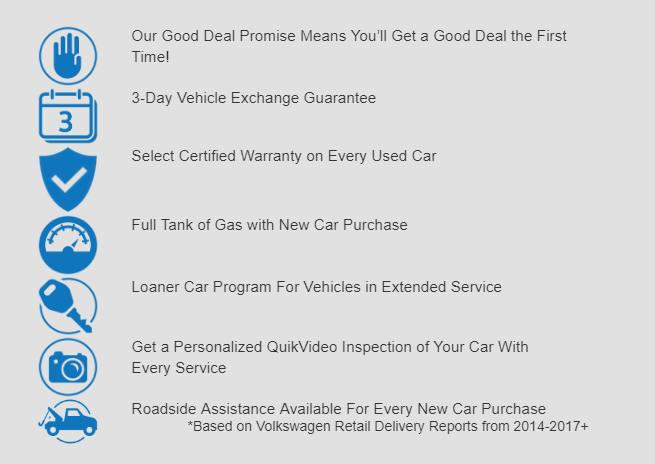 If you are interested in getting your hands on one of Volkswagen’s most classic vehicles, we encourage you to schedule a test drive with our team at Owens Murphy Volkswagen today. Our sales team is always available to answer any and all questions you may have. 0 comment(s) so far on What’s New on the 2016 Volkswagen Golf GTI?